So why don’t patients in hospitals typically receive the same level of continuous monitoring? Despite widespread consumer interest in using technological advancement to better monitor health and safety, an estimated 75% of hospital patients and more than 90% of post-acute care patients are not in fact continuously monitored, but instead manually monitored — or “spot checked” — when they reside in a healthcare facility. No doubt, the spot check is an essential element of the healthcare routine, important for patient triage as well as for safety. But given the breadth of technological possibilities offered today that can monitor heart rate, respiratory rate, and other important vital signs on a continuous basis, should an in-person spot check every four to six hours really be the final word in patient monitoring? The reality is that continuous patient monitoring — keeping track of vital signs 24/7 during a hospital stay — has already been embraced by virtually every member of the healthcare continuum. It’s growing in adoption across the healthcare market and even being requested by patients (probably because it’s already largely familiar to them, thanks to the popularity of consumer health tech). More and more families are demanding its implementation as a safety measure, and health leaders and administrators are championing the technology as a way to improve care while reducing runaway expenses. Continuous patient monitoring services give physicians, nurses and caregivers a full picture of their patient’s health, allowing them to track patient health trends and vital statuses from the moment they are set up in their hospital bed until they are released from the facility’s care. By beginning the monitoring process from the very start of the hospital stay, each patient has a reliable personal baseline that doctors and nurses can refer to when checking patient vitals, providing more depth to that already-full picture of patient health. And by consolidating essential patient data into one easily-accessible platform that shows heart rate, respiratory rate, and level of motion, all-in-one continuous patient monitoring devices like EarlySense’s InSight system can help reduce the real threat of alarm fatigue that plagues America’s hospitals and healthcare workplaces by re-building confidence in each alert and its clinical importance. Having a constant window into patient heart and respiratory rates as well as range of motion is crucial for nurses and doctors, as it enables the ability for clinicians to receive earlier warning signs, which leads to faster response times, effectively helping to prevent larger incidents. When relying solely on information collected every four to six hours via the traditional spot check, health practitioners are constantly playing catch-up instead of being ahead of the game. Too much valuable time is then spent dealing with after-the-fact crises rather than preventing them from happening in the first place — a development that contributes to diminished patient satisfaction as well as unnecessary financial costs (including potential CMS penalties). Timely responses to early warning signs are crucial to improving patient outcomes, as significant numbers of critical events are preceded by warning signs 6 to 8 hours prior to the event1. Additionally, responding to these early warning signs can reduce mortality by 75% and cut facility costs by 40%2. Continuous patient monitors that track patient vitals allow opportunity for early intervention, turning these percentages into a reality. On top of this, the daily routine of a nurse or doctor is quite unpredictable and subject to the possibility of an emergency occurring at any point in time. Physicians must always utilize their time effectively and provide patients with the time and concentration they require. By using continuous monitoring systems, health teams gain an extra set of eyes and ears for surveying patients 24/7, allowing them to focus on the patients that need their attention most and relying on trustworthy monitoring systems to alert them to significant changes in patient condition. 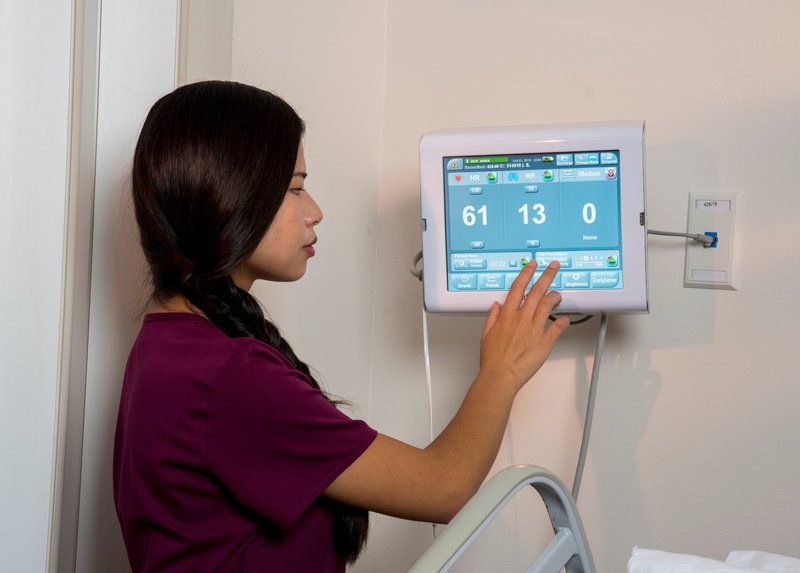 When patient lives are on the line, continuous patient monitoring — such as EarlySense’s InSight system — is a technological implementation that more facilities should consider. Continuous monitoring helps practitioners more easily understand each patient’s unique health narrative in real time, helps them manage their time more wisely and get ahead of adverse events. The result is the real potential to improve outcomes and patient satisfaction while reducing expenses and eliminating (potentially safety-threatening) inefficiencies. help you achieve improvements in care, quality and cost control? Schedule a complimentary consultation with an EarlySense specialist.